Thank you Santa Clarita for voting me Best Reiki Practitioner Read Joan's thank you letter here. You can read another article about Joan here. "I was lost, but am on my way to being found. Joan and her gift of Reiki have done more for me in a short period of time, than years of therapy ever did. Through Reiki with Joan, I am learning self-love, freedom and the power of me, within me. Joan's support, paired with Reiki healing, and its ability to connect on the deepest of levels, is a blessing beyond anything words could ever convey. I will forever be grateful! Truly a miracle! 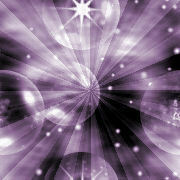 Long distance Reiki sessions with Joan have been a great and wonderful experience. Not only have I been feeling more energetic but I feel more positive. I have had back pain, migraines as well as stress issues which amazingly Joan picked up automatically without me telling her. Since our sessions I have had no back pain and my migraines have subsided by an enormous amount. I wake every morning feeling fresh and new. I would recommend Reiki with Joan to everyone; she truly has an amazing gift. I’m so blessed to have met her, no Dr could help me in the way that Joan has. Reiki has really improved the way I relate to my students and my teaching. I have more patience in the classroom and feel more accepting of their behavior which also has improved. Students will call out a greeting across campus when they use to ignore me even if there was eye contact. Students come up to me and give me hugs. People come into my classroom and tell me that it feels welcoming. I look forward to each day and I know that they feel the same. I have not told my students about Reiki but I know they are feeling the compassion that I feel. It has made my life and relationships richer and more meaningful. It has truly changed my life. To me, the motivation for doing something comes from the results you get. I’m a skeptic at heart, which is why I was anxious to experience the effects of the Reiki treatments, just to prove to myself that there was some benefit to it. The level of stress that I was under is what sent me to Joan Darlene. I’ve done some research and found that stress can affect every inch of your body. Each time you become stressed out, your body produces large amounts of Cortical, a steroid hormone that makes your body create excess oil; this will clog pores and glands and lead to blemish issues. Stress hormones will suppress the immune system, elevate blood pressure and dangerously raises the activity of the limbic system of the brain, the emotional center. Sound like a basket case? I was. After my first visit, my energy level had improved. I slept deeper and my creative ability was restored. I had been suffering from writer’s block for weeks. I experienced a feeling of well being that lasted for days. A flare up of my right thumb joint sent me to Joan a second time. It was red, swollen and I could barely move it without excruciating pain. I couldn’t open anything and typing was out of the question. I was beginning to believe that arthritis had claimed it and I would just have to live with it. The day after my treatment, the pain was gone! You don’t have to believe me, just try it for yourself. If it doesn’t help you, then stop. But if you don’t try it, you’ll never know what you are missing. My experience with Joan as my Reiki teacher has been life changing. She has taught me how to relax while treating a client, and to even keep my sense of humor. I tend to take everything too serious and want my sessions-every one of them- to be perfect. Perfect in my mind isn't always what our Higher Power has in mind. Go figure?! Healing energy is Joan's heart's desire; passing this knowledge on to others is her passion. Her insight is inspirational and a reminder to all that: "The more we acknowledge and honor our intuition, the more we will be able to receive." After the birth of my son I battled severe anxiety, hormonal imbalances, and what I know now to be depression. Although I considered myself 'happy', I was scared of living and breathing in the moment. Being a very introverted and prideful person, I was never able to trust anyone enough to truly express my feelings, emotions, and disappointments. In retrospect, I now know that all of my anxiety and fears stemmed from never acknowledging and 'releasing' all the things in my life that I never had dealt with. I was a bottomless pit of unresolved issues that finally bottomed out. Thus, fear began to rule my life. Drugs and prescription medication were not an option for me in my mind, and although I try to prescribe to a healthy lifestyle, I still suffered greatly. That is until I met Joan. Reiki changed my life truly and honestly. After some weeks of intense therapy, I can finally say that I am free.. For me, reiki was amazing journey of spirituality and self-love. Fear no longer controls my life. I am so grateful for Joan's healing gifts and what they have done for me and my family.